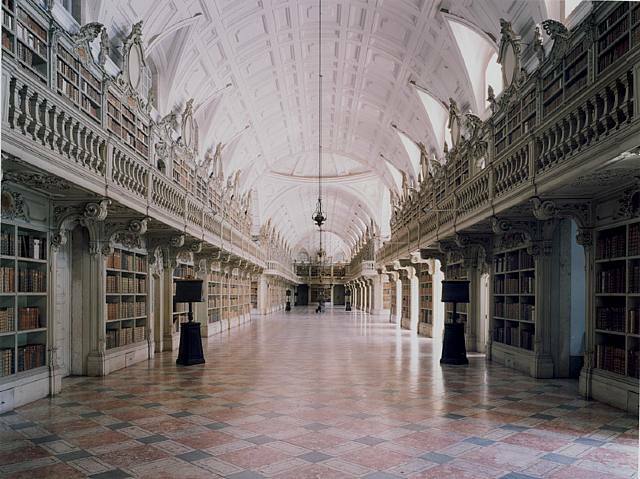 The Biblioteca do Palacio e Convento de Mafra I, Lisbon Coast, Portugal. 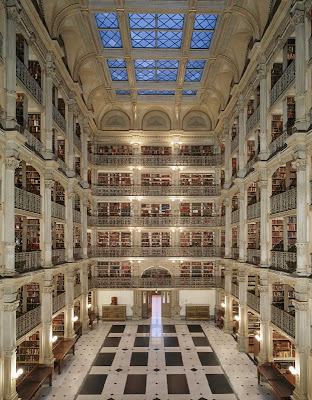 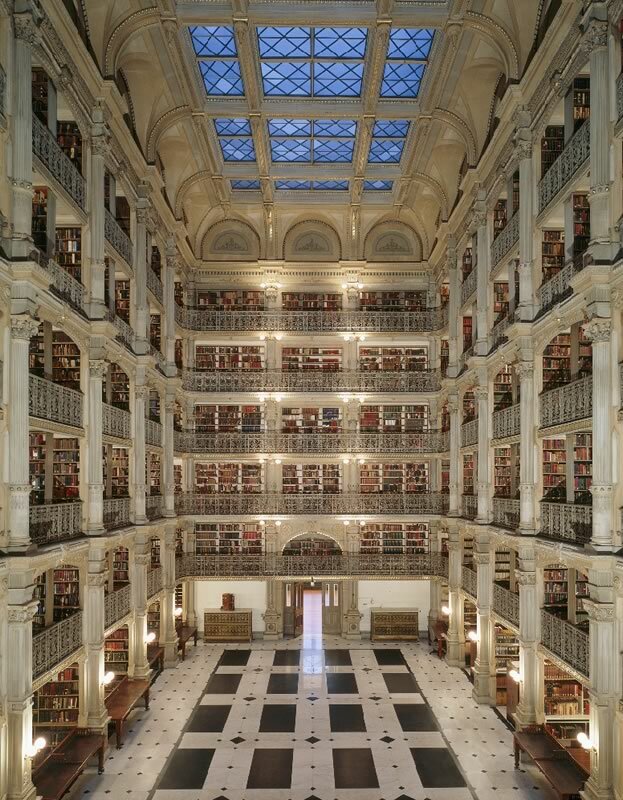 The Peabody Library, Baltimore, Maryland. 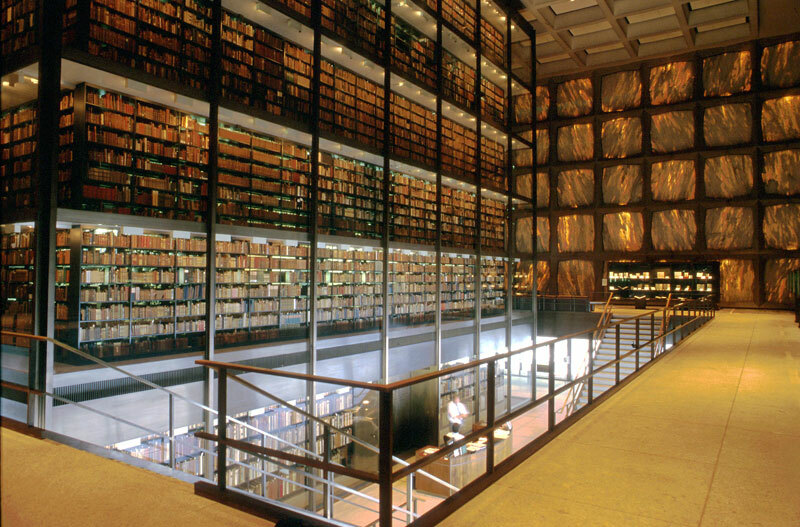 The Yale Beinecke Rare Book and Manuscript Library, New Haven, Connecticut.